Each mare in the SPF breeding program has been carefully selected as an individual suitable for the breeding program's goals. Their pedigree, conformation and aptitude for performance are all critical characteristics that are evaluated before they go to the breeding shed. Mares that do not produce the qualities desired in their offspring are culled from the herd, and sold on to other programs or as riding horses. 2004 Connemara Sport Horse mare by Mokheiba ex Black Points Tilly Go Bragh (Hideaway's Erin Go Bragh). In foal to *Macha Breeze, Rid for a 2019 foal. 2015 Connemara Sport Horse filly by Flexible (ISH) and out of Sparrow's Tiptoes, a Halfbred Connemara by *Grange Finn Sparrow. 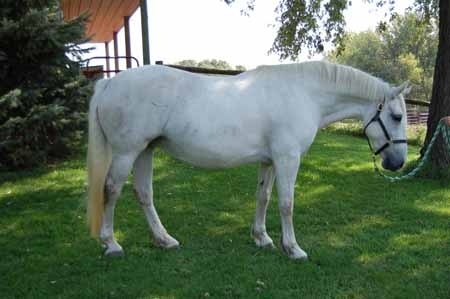 SPF purchased 'Pippi' from Fade to Grey Farm as a foal as an upper level eventing prospect and future broodmare. in foal to chatsworth q-Course for a 2019 foal. 2007 irish sport horse mare by brandenburg's windstar and out of welton nirvana by welton crackerjack. 1998 purebred registered irish draught mare, imported from ireland as a yearling. alanna was inspected and approved in the usa in 2000, receiving the very high overall score of 142, which was reported to be the highest awarded in north america at the time. she is a classic, old fashioned type, and brings unusual lines to the spf program. Irish Draught Sport Horse by the Grand Prix show jumping stallion, Cradilo RID, and out of a Thoroughbred mare. in foal to Ballineen it's william for 2019. 2015 ish x hannoverian mare by flexible and out of sienna. bred by spf. retained. 2015 Hannoverian x ISH mare by the eventing stallion, San City, and out of the ISH mare, Sweets of May, by Cradilo. 2005 Thoroughbred mare by Comet Shine. She shares the same sire with Becky Holder's 4* horse, Courageous Comet. Becky competed Lippy successfully through the Preliminary and IP levels before retiring to broodmare duties. Holsteiner x TB mare by Riverman. Competed successfully at the Preliminary level. 2003 Selle Francais mare. 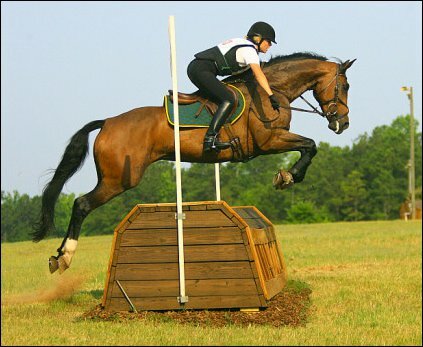 imported from GUATEMALA, Retired eventing mare that competed to the Intermediate/CCI** level. 1999 Hanoverian mare by Sao Paulo. Sienna competed in the jumper ring prior to transitioning to an event horse. 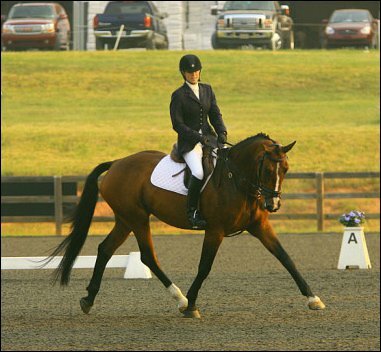 She competed successfully through the Training level with Melissa Town, including winning the 2010 AEC's at the Novice level. Becky Holder took over the ride in 2011, successfully moving Sienna up to Preliminary. She earned good ribbons at the level, often finishing in 1st or 2nd. She returned home in 2013, and began her career as a broodmare for SPF. in foal to fairbanks for a 2019 foal.